Your completely personalized sound is available at the touch of a radio button with the Personal Audio Link (PAL). 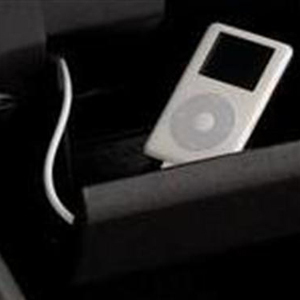 Neatly stow your iPod away and control it through your vehicle’s stereo system. Provides functionality of your iPod, allowing you to select artist, album, genre and playlists, as well as listen to audiobooks and podcasts, using the vehicle’s radio controls. iPod units utilizing a 12V charging system will charge while connected to the vehicle. iPod units with the 5V charging system require an additional charge adapter.